Book Online BUDGET Day Tour, available every Day, private tour includes Pick up services from El Sokhna Port & return, all transfers by a private air-conditioned vehicle, Private English Egyptologist guide, Entrance fees, Lunch meal on Nile Cruise, Bottled water on board the vehicle during the tour, all taxes & service charge, Tour excludes Any extras not mentioned in the program and Tipping. EMO Tours EGYPT Representative will pick you up from El Sokhna Port by the cruise exit door, holding a sign of your name. After that you will be transferred by an air-conditioned vehicle to Cairo (about 1.5 hour drive). Pay a visit to the Pyramids of Cheops, Chephren and Mykerinus. Then proceed to visit the Great Sphinx, the head of a pharaoh with a lion's body, which dates back to the time of Chephren. 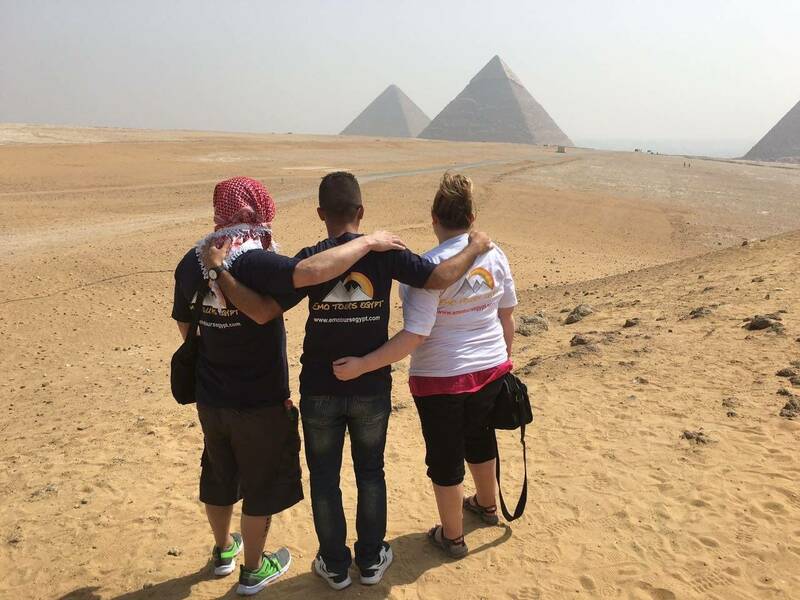 The tour also includes a visit to the Valley Temple, which belongs to the Pyramid of Chephren, then enjoy a relaxing lunch cruise on the Nile, you will have fine food, accompanying live music, impeccable service and spectacular views of Cairo and Giza, the tour is available every day of the week. - When you arrive, a free shuttle bus will transfer you from the cruise ship to the main gate of the port, approximately 800 meters. Your Emo Tours representative will be waiting to meet you there.